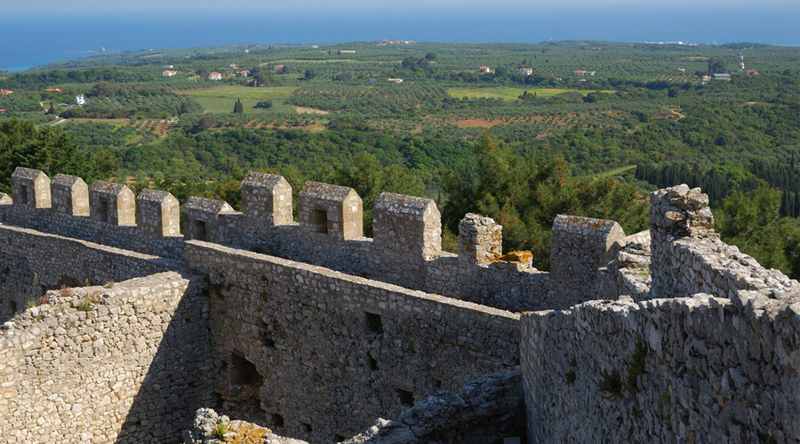 Chlemoutsi castle is located about 50 kms north of Katakolon harbor and it takes 40 min about to get there by car. Visitors have the opportunity to combine a tour to Olympia with a visit to this historic castle. The castle of Chlemoutsi is the best preserved Frankish castle of the Peloponnese and was the centre of the Principate of Achaia. 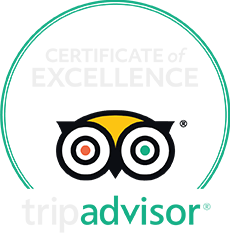 It was founded by the Frankish prince Geoffrey II of Villehardouin in 1220-1223. The castle at times had various names. Its French rulers named it Clermont. 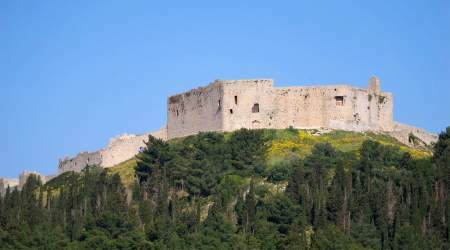 The Venetians called it castle Tornese because that it was the place the coins of the Princedom of Achaia, the tornesel, were minted. The Greeks named it Chloumoutsi, as stated in the Morias Chronicle, or Chlemoutsi as it is known until today. 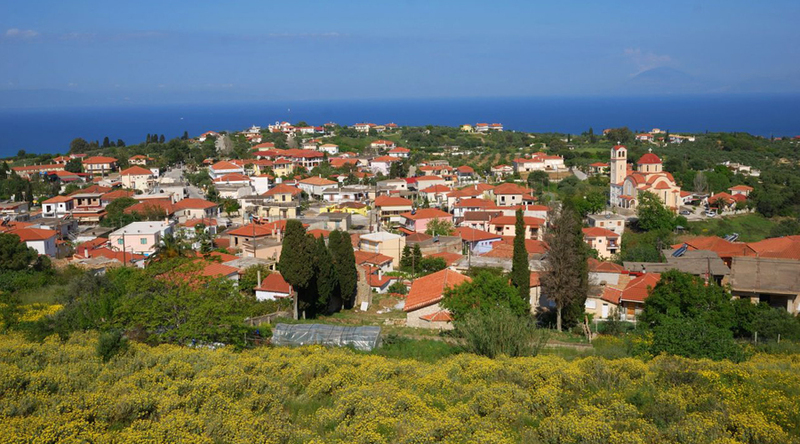 Chemoutsi is built on the top of a hill with an excellent view to the plain of Ilia as well as the Ionian Sea. 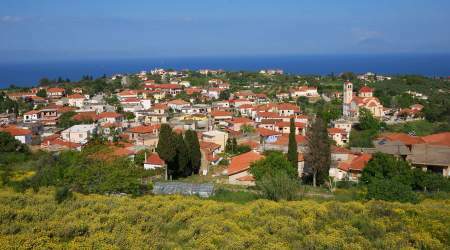 It is located, on the the western cape of the Peloponnese, on the village Kastro of the Municipality of Killini. To the northwest one may be able to see the coasts of Zakynthos and to the west the island of Cephalonia. The site of the castle was carefully chosen. It is constructed on the highest and most central spot of mount Chelonatas, on the western side of the Peloponnese. The role of the castle was to protect the renowned port of Glarentza as well as the capital of the Principate Andravida. Located at the top of the hill, the castle enabled its Franklish rulers to have control the area. The castle is an irregular hexagon round an open yard. It consists of two parts. The one is a large construction, which is the main building and is located at the highest point of the hill. The other part is a large surrounding outer area, with particularly high walls, inside which the remains of several buildings, including a Turkish mosque, can be seen. Morias chronicle describes the construction story of the castle. Prince Geoffry II was determined to built the castle on a strategic site so he put taxes on the Latin clergy. Pope Onorius III affected by the clergy’s complaints excommunicated the prince. The prince however went on constructing the castle. The Pope reversed the anathema when Geoffry convinced him that the castle protected the vital interests of the Roman – Catholic church. Chlemoutsi was at the heigh of its glory at the days of Geoffry Villeardouin II. After the death of Geoffry II a turbulent period started. The Catalans took over the castlein 1315, Afterwards the Franks took possession of it until the early 15th century. Following that Carlo I Tocco, count of Cephalonia and Zakynthos and ruler of Epirus, was the owner of the castle. In 1427 Constantine Palaiologos married the daughter of Leonard II Tocco , Magdalene, who was renamed Theodora, and became the ruler of Chlemoutsi. 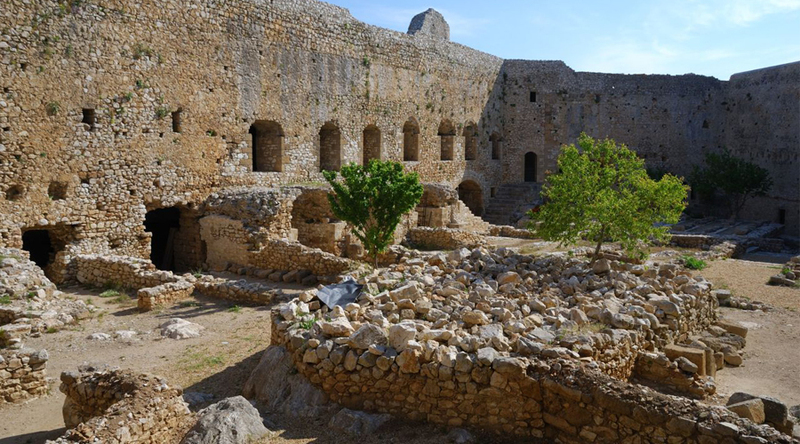 The castle became Palaiologos’s court and later he decided to destroy it for fear of being seized by the enemy. Chemoutsi was then deserted and changed several “owners” after that. It was taken by the Turks, the Knights of Malta the British and finally the Turks. During the Turkish period several changes occurred in the castle. However, Chlemoutsi still preserves the Franklish architecture and charachter.